We had some leftover chicken and some leftover shrimp in the fridge. Enough for half a portion each for both of us. 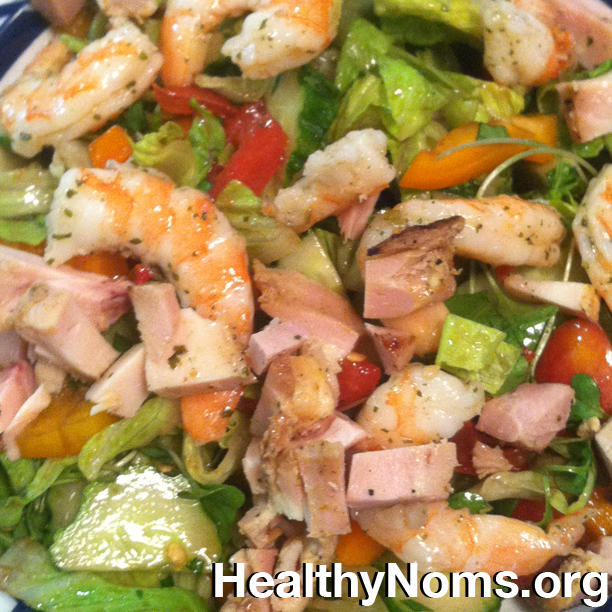 So we mixed them together with a salad of greens, tomatoes and cucumbers, dressed with some balsamic and a touch of low-fat dressing. 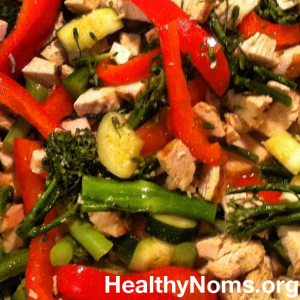 Easy to throw together, a great use of leftovers & no cooking! Kimchi Chicken Stir Fry, made with leftover Kimchi Chicken and fresh veggies. 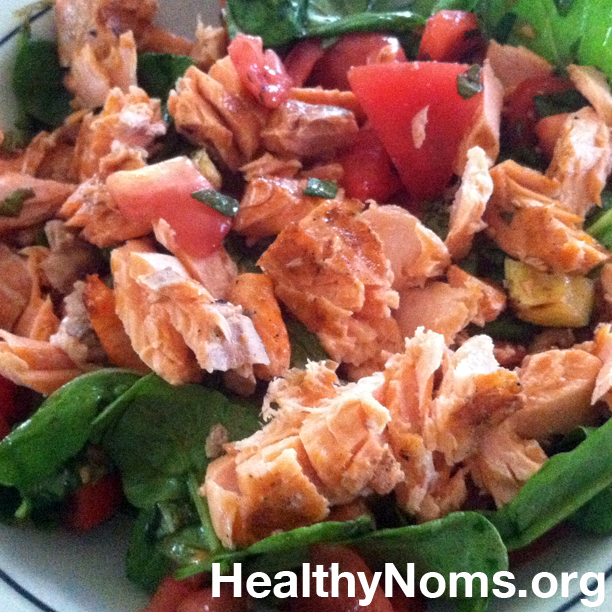 Between overestimating the amount of raw protein we need to yield two five-, six- or seven-ounce portions, and sometimes having to purchase more than we need for a meal for two (two-pound bags of frozen shrimp come to mind), we sometimes end up with leftovers — usually an odd size: not enough for another meal for both of us, too much for a meal for one. Because we’re controlling our food intake and measuring everything, and only eating the one meal per day, it would be easy to let these leftovers go to waste. It would also be easy to stray off program by snacking on them spontaneously, just because they’re there! 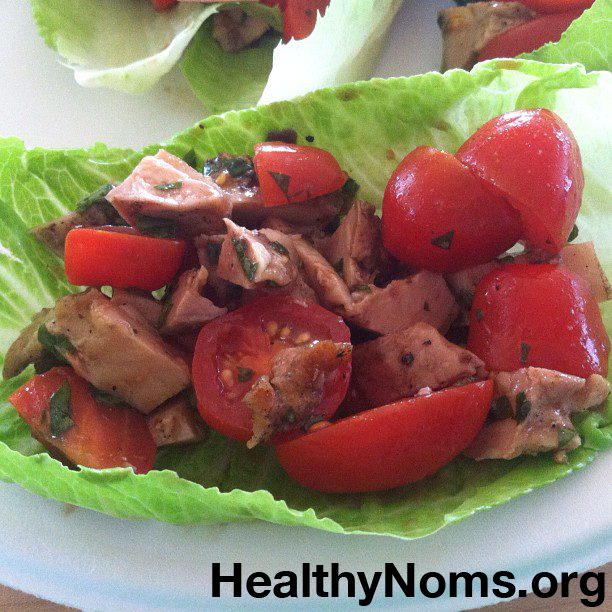 A great no-cook meal, using leftover grilled chicken thigh meat, chopped up and mixed with tomatoes & chopped fresh basil, tossed with a little balsamic vinegar (not vinaigrette, just the balsamic vinegar), and served in romaine lettuce cups!